My credentials combine over 18 years of experience in the marketing, brand, media & retail sectors. Always looking for a challenge, my strongest assets refer to relations management, marketing strategies, brand development, communication & content management and problem solving skills. My work ethic is results driven to bottom line achievement and I enjoyed some remarkable successes throughout a very diverse & exciting career, covering the Hospitality, Retail, Media and Publishing as well as the Educational sectors. Having spent the past 4 years actively involved with various online & digital projects, I strongly believe that business owners, broadcasters and print-media providers alike, will need to adopt fully integrated digital business strategies across all platforms in order to remain successful in the future. As I am passionately driven by success, creativity, diversity and innovation, I naturally adapt to & embrace change. This ability has been singled out as the strongest contributing attribute to my career successes. It is a personal attribute that not only promotes growth but also aligns perfectly with the ever changing online environment that forms the core of any business today and for the future. Majohi holds strategic business relations with long term colleague & supplier Norman Visser, owner of the renowned web & design house, REDHOT DESIGN. Together they can offer clients a 360° business, marketing, and on-line solution that is tailor made to individual client requirements. Bhongolethu Training is a National Specialist Training company with their head office based in Randburg Gauteng. I am contracted as an independent consultant for the complete portfolio management specified as course, technology, business development, client relations, brand and marketing management. ü Brand development, brand positioning and ongoing brand awareness campaigns. ü Advertising, Promotion, Sales and Marketing of the tender training division ongoing. ü Creative & content management for social media infiltration to targeted audience. ü Operational support, planning, coordinating and booking of training sessions nationally. ü National client relations & active enquiry support contact person. Creative direction & conceptualisation, filming the actual tender program & system functionality, interviews with key players. Directing, producing and editing complete including sound & live voice overs. Development of Corporate Identity & Logo Design. Reliabuild is a new innovative on-line trade directory with the aim to become an easy accessible and reliable link between trusted traders/businesses and the public in SA. This digital platform is growing steadily both with active listing companies and search results. ü Develop & implement simple methodology, functionality and process flow of the website. ü Brand development, positioning and brand awareness. ü Ongoing professional interaction on social media platforms. Over the past 18 months the web platform is already recognised by search engines Google, Bing & Yahoo with Web Traffic insights reflecting on both Alexa.com and MyWebStats.com. Its client listings are steadily growing nationally with the web traffic currently averaging at around 10,000 visits per month. The business results show a steady monthly up-worth growth despite its current ZERO paid advertising policy. Almond & Tucci International is a Development Consultancy Firm Based in Geneva with business interests in Southern Africa. They hold strong relations with The South African Department of Trade & Industry with the aim to establish European business investment in South Africa and to promote trade between Europe and Africa in general. Find the Gap Systems are a software company offering a fully integrated service to retailers and wholesalers. The need to intergrade the backend (software) with frontend (web social media & online activities) developed and increased. I performed functions on a consulting basis for FTG Systems that included account management, content management, brand development, online training modules and visual direction. 1. To establish an ONLINE DIVISION with a company profile, a proper business plan with free flowing operations to run an efficient and cost effective business. 3. IT related feedback report systems for bulk dumps for larger groups as well as manual processes for the independent dealers. To develop, establish and maintain a sound Marketing & Adverting department with the aim to strengthen the brand position, to increase market share & to implement promotional activities in support of, and leading to increased sales income. To ensure efficient & cost effective business practise and growth. Critical link in the structure of Consumer Magazines. To manage fluent business flow between departments across magazine titles nationwide and ensure clear direction and project information is fed through to the relevant departments. Ensure efficient, effective, competitive and objective practice resulting in Performance Management. Creative: Adobe Creative Suites, Video editing, Graphic Design, sound HTML & Word press operating skills, SEO, Social Media Networking, Research & Web Analytics. I’ve gained extensive experience in both the public and private sector and had the opportunity to conduct business with mentors like Erika Alberts (Publisher), Jackie Burger (Editor) and Fred Ginsberg (Marketing Guru) amongst others. My credentials combine over 15 years of experience in the media & retail sectors, across several media platforms. 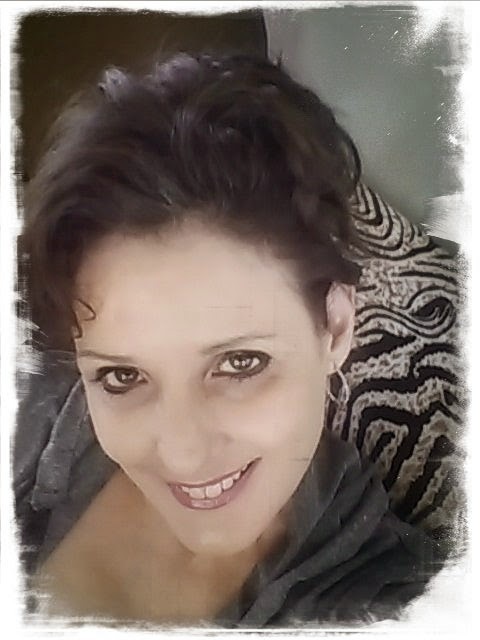 I held senior management positions as Coordinating Manager AVUSA MEDIA, Operations Manager SHERATON HOTEL PRETORIA, Marketing and Business Development Manager ROCHESTER HOME DECOR (GEROS RETAIL HOLDINGS) and Marketing Manager XBUY (Online media). My business approach based on delivering quality projects, efficient planning, hands-on management and cost effective practise, contributed to great successes in my career e.g., 24% revenue increase for the financial year 2009 at Rochester Home Decor. This said, during most trying times for the SA retail sector, entering the resession and world economical crises. As part of my function at Rochester Home Decor, I’ve conducted an extensive market, product and consumer behaviour study and re-introduced the brand identity and promise including the redesign of the CI (corporate identity). A challenge for change without creating consumer confusion. I strongly believe that we are living in exponential times and that broadcasters. retailers and media content providers should respond and position themselves best to exploit opportunities brought by changes in technology and regulations. Marketing & Sales of company services. Preparations and presentations of quotations and tenders. Couch, Mentor, Guide & Lead. Creative direction, planning & production management (TV, Radio and print). On line solutions for the management of user friendly , functional, effective and practical web portals including social media and SEO. Passionately driven by success, creativity, diversity and innovation, I naturally adapt to embrace change. I am an innovative, active and image conscious player in the game of life. I LIVE. I LOVE. I DREAM. I WORK & I GIVE. Inked by Heidi - my personal spot! I capture thoughts, moments, memories. I cherish and treasure them. Life is short! We are not immortal! I THINK! I WRITE! I SHARE! © Content Heidi Stassen Croxford or to the publishing author where noted. Travel theme. Powered by Blogger.